$SAEX had a small gap during the premarket session so that put it on my radar. However the fact that it was Friday and the gigantic amount of institutional ownership in the stock made me wary about trading it. So I downsized quite a bit for this trade. The strategy for this trade was to use the premarket high as resistance and to short sell against that point with a little extra room above. 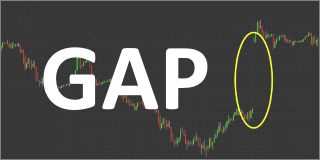 Since the gap was not very big and the day had very little volume across the stock market I used 1/2 the normal share size on the trade. My execution was very well done. I got my entry at $2.46 during the retest of the live market high that was made and shortly afterward $SAEX tumbled down hard reaching 2x my risk where I typically take off some of my position. This time I wanted to see the stock below the firm $2.16 base of support, so I gave it time to see if it could get there. As you can see, the buyers came back in and scared out a lot of the shorts making a new high of day. My exit was right near the peak price of the day. Given the low probability of the trade working out, I will gladly take the small loss and call it a good week.